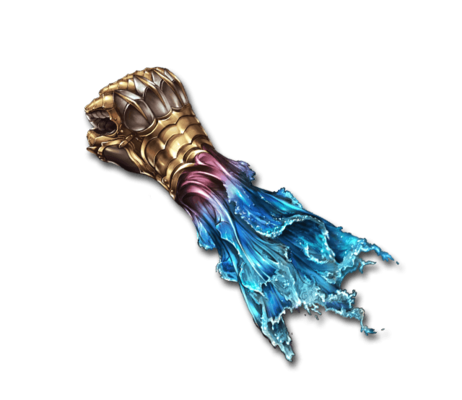 This gauntlet, blessed by Manawydan, is as powerful as the raging rapids that gouge out the very earth itself. One blow spells torrential calamity for any in its path. Fluctuat Maatel + Massive Water damage to a foe. This page was last modified on 6 February 2019, at 05:57.